This species is accepted, and its native range is Chatham Islands. 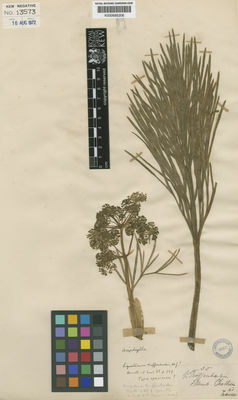 Angelica dieffenbachii (F.Muell.) Benth. & Hook.f. Coxella dieffenbachii (F.Muell.) Cheeseman & Hemsl.